The following tips can help ensure that your hamster remains safe and healthy. House the hamster in a quiet part of the house that is not too bright. This will ensure the hamster is not disturbed during the day. Don’t put two unrelated hamsters in the same cage. They are likely to fight and sustain serious injuries. Give hammy something to gnaw on. Hamster teeth are continually growing and if they get too long this can cause problems. Do not use pine or cedar bedding. There are lots of great bedding available that aren’t harmful to your pet. 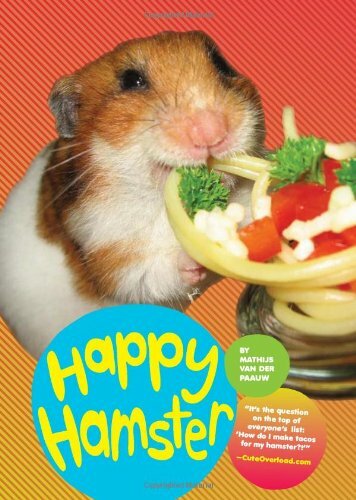 There are lots of fun things that you can do with your hamster. Here are a few ideas that will be fun for you and your furry little friend! You’ll need a play pen or a fence to prevent your hamster from escaping. Keep a close eye on him (even with the fence) to make sure he is safe and sound. Alternatively, bring the hamster ball outside! Set up an obstacle course! Dress up your hamster…with cardboard! Hamsters are smart creatures and can learn many cool tricks. Make sure to have treats to reward him, which will make him more willing to listen to you. When he knows a few different tricks, put on a show for your friends. What’s your favorite thing to do with your hamster? It is very stressful for them and can make them sick. Now that we’ve gotten the most important point down, let’s look at how you can properly bathe a hamster. That’s Ichigo the robo dwarf hamster in the video above. He has a really bad habit of soiling his wheel and then sleeping in it so his fur gets yellow and dirty. To keep him clean, I usually have a dish filled with sand for him to roll in. I also made him a DIY bath tub a while ago. Oatmeal, my Russian dwarf also enjoys rolling in sand now and then, but I find that the Roborovskis do it a lot more. When a hamster rolls in sand, oil and dirt from its fur gets rubbed off and the hamster not only looks cleaner but its fur also becomes softer. Its nails are kept short when it digs in the sand so that’s another benefit. It’s okay to just leave the sand dish in a corner of your cage. Don’t be alarmed if your hamster starts pooing or peeing in the sand. It’s normal and you’re supposed to change the sand when it gets too dirty. Having the sand in your cage also helps potty train your hamster and keeps the rest of the cage relatively clean. If your pet is using the sand for the first time, it may not know how to roll in it but from my experience, just leaving the sand there will help keep your hammy clean. And most of them eventually learn how to use it on their own.